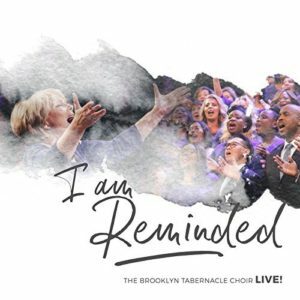 Recorded live at Brooklyn Tabernacle in New York, I Am Reminded is the 30th album by the multicultural and multiple Grammy Award-winning Brooklyn Tabernacle Choir. It features the choir’s time-honored majestic harmonies that, propelled by a symphonic orchestra, wash over the listener like warm ocean waves crashing on a beach. As with all Brooklyn Tabernacle albums, the overall vibe of I Am Reminded is one of happiness and contentment, perpetually positive and uplifting. Smiling voices render melodic songs of thanksgiving to the Lord for blessings bestowed and for help in making it through the day. There’s at least one “it” song on every Brooklyn Tabernacle project, and on this one, it’s “Jesus, It Is You.” Caressed as much as sung by soloist Sidney Mohede, the gentle ballad is a simple song of thanksgiving with such a heartwarming feeling it lingers long after it is finished. Several songs take their lyric inspiration from the Psalms. 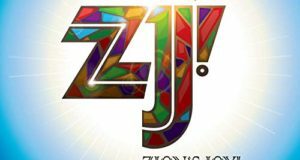 In fact, the album opens and closes with Psalms 150 and 23, respectively. 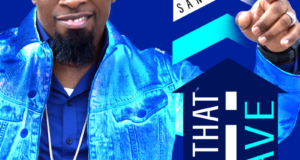 The latter (“The Lord is My Shepherd”) is a ballad with a church-choir-meets-Hillsong treatment courtesy of passionate singing from lead vocalists Shane Barnard and Shane Everett. The false ending is given new life by the choir’s luscious piano- and guitar- accompanied rendering of the melody prior to shifting back into full instrumentation. “Pleasing” is a meditation on Psalm 19:14 (“Let the words of my mouth…”). 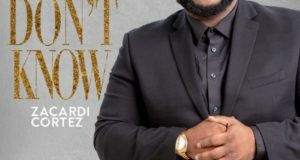 A satisfying surprise is the church rouser, “Now, I’m On My Way.” The most soulful piece on the album, the song sounds like something a church singer would render, but in this case, the entire choir sings the melody line, embellishments and all. It even contains a vamp and a special segment in which the various sections sing in counterpoint a la 1990s Ricky Dillard and New G.
The live recording audience is enthusiastic but mannerly, applauding heartily at the end of each song but, with the exception of a few moments of audible rapture after “Psalm 34,” not shouting or encouraging singers during the performance as one would expect to hear. Or at least these expressions are not captured on the microphones. Recording since 1981 under the deft leadership of Carol Cymbala, the Brooklyn Tabernacle Choir is always a treat for the ears and a feast for the soul. I agree there is not a lot of shouting or encouraging singers as expected. But as a black guy growing up in a Baptist Church in the south we didn’t stand up all of the time and clap and stuff as much as they do nowadays. I remember when there was a more natural response in our praise. People clapped and shouted when they were moved to do so. I try to get into the singing nowadays but when I’m enjoying it, someone comes to the mike and start talking. This is my unpopular opinion though, because most people don’t seem to mind. But it’s got me seeking out studio gospel albums so I can really hear the music again. This album, especially the songs you mentioned, is a real blessing. Mr. Wynn, thanks for your comments and response on the album!